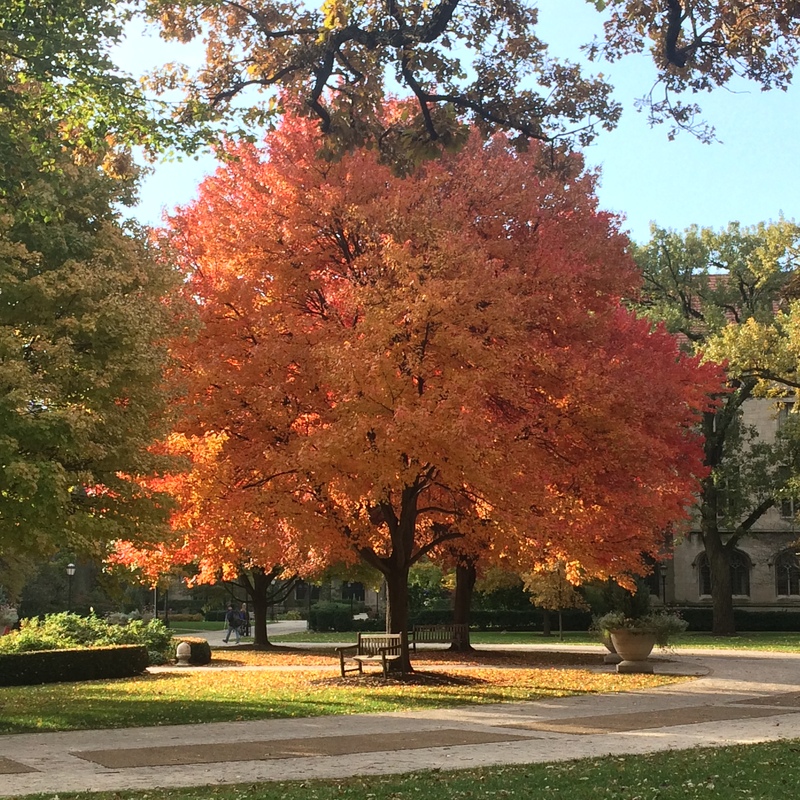 I had to go to the on-campus bank today, and was struck on my walk at how lovely the fall is here. Here are a few snaps I took along the way; these are taken with my iPhone camera as I didn’t bring my Panasonic Lumix along. And Botany Pond, duckless and sad. . . . . 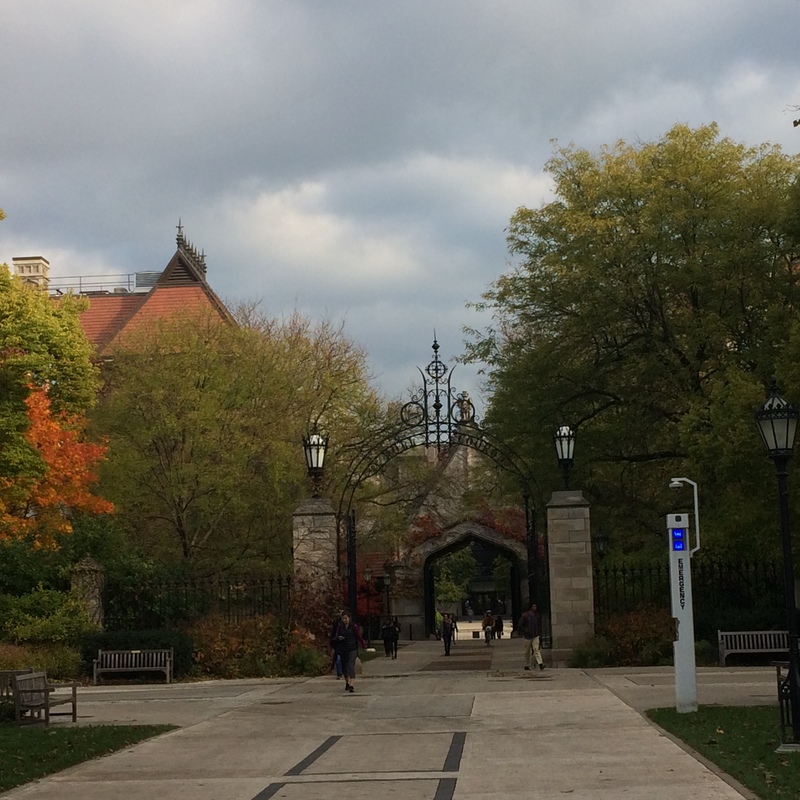 This entry was written by whyevolutionistrue and posted on October 29, 2018 at 11:45 am and filed under photography, University of Chicago. Bookmark the permalink. Follow any comments here with the RSS feed for this post. Both comments and trackbacks are currently closed. Much as I am sad to hear you’re an iPhone guy, the pictures you have taken with it are gorgeous! Maybe Jerry takes his privacy seriously and doesn’t want to sell it to Google via Android. We don’t have any privacy anyway so might as well make some money with our data! Apple doesn’t monetize your private data. They’ve been very clear about that, and it differentiates them from Google, Facebook, Twitter, and any number of even less reputable tech companies. What you might legitimately say is something like: All smartphones are more-or-less the same (by category), so why pay a premium for an iPhone? One reason (not the only one) is privacy. 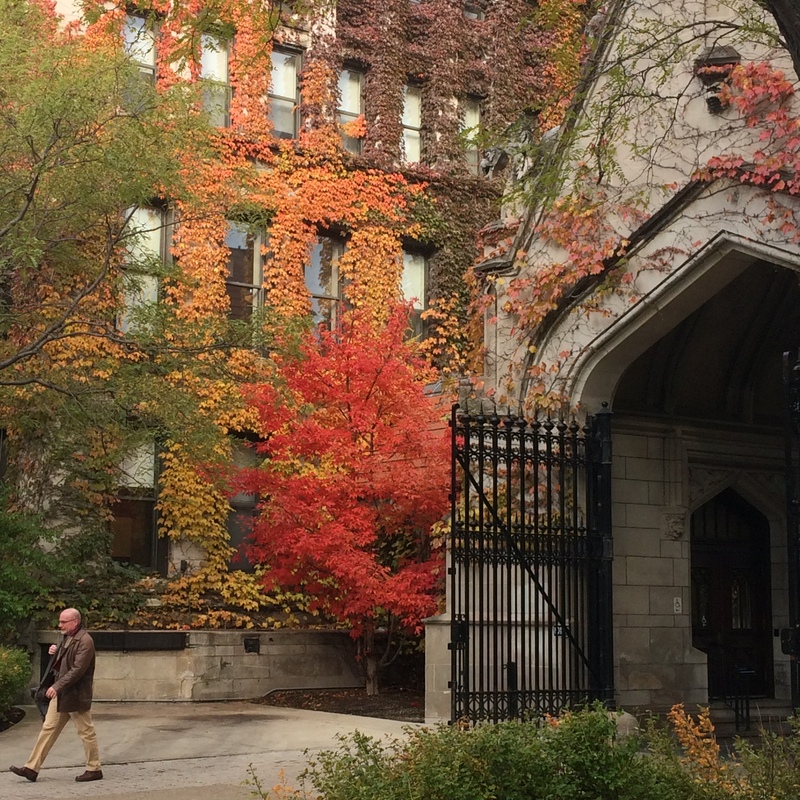 A joy would it be to be young and a student during Fall quarter at the University of Chicago – before comes end of term finals, papers and the advent of grim winter! Jerry – Thanks for these beautiful pictures. I noticed the baldcypress trees in the pond turning their usual rust-red/brown for the season. Wonderful tree! Your fall looks much better than ours down here in the southern Appalachians. We had consistent and record warmth all Sep and early Oct and the trees are two weeks late,and many have given up – just dropped leaves without turning colorful. Perhaps the canary in the coal mine as to what global warming could do to the fall foliage displays. Embarrassed to say that this is the first time I’ve realized Bald Cypress are deciduous! Despite their revealing common name. Do I feel stupid! Overcast sky makes it particularly difficult because while our eyes can perceive a beautiful color, shade, and light blend, automatic camera corrections seem to never lock in to it. That’s with .. maybe 8 MP. The current 12 MP lenses, I don’t know…. I suppose one could become saddened by that…. If I’m not mistaken, that’s the gate Harry and Sally drove through on their way to New York. Very nice. It is indeed but a. you can’t drive through that gate, and b. when they’re heading to NYC from the University of Chicago, they’re shown headed south on Lake Shore Drive, NORTH OF THE CITY. The U of C isn’t even near there; it’s seven or eight miles south of where they are, and if they were really driving to NYC from here, they’d be taking the very ugly Chicago Skyway. 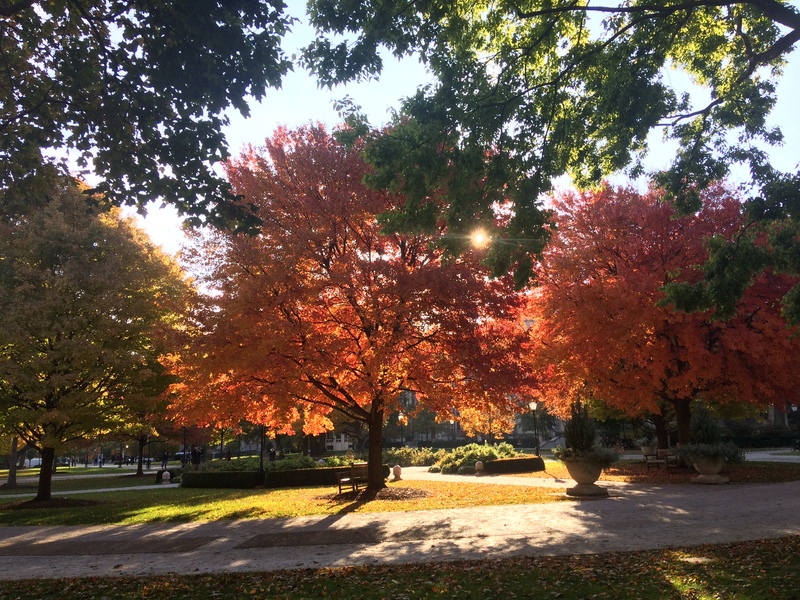 There is an orange maple like that one on my campus. I was thinking I’d like to plant one like it at my house because of it’s gorgeous Fall colouring. We are having a more colorful fall than usual here in Lawrence, Kansas. I don’t know why, but the trees look just like the ones in your photos. It’s really quite lovely! Glad I don’t have to rake those leaves. The campus always looked prettier when i did not have a problem set due. And emeriti never have a problem set due. Lovely campus and beautiful pics of same! Returned from a month in Europe a couple of weeks ago. They too are having a beautiful autumn. Having lived here in southeast Alabama for the last eleven years, I’d forgotten how beautiful the trees are this time of year. Beautiful photos! 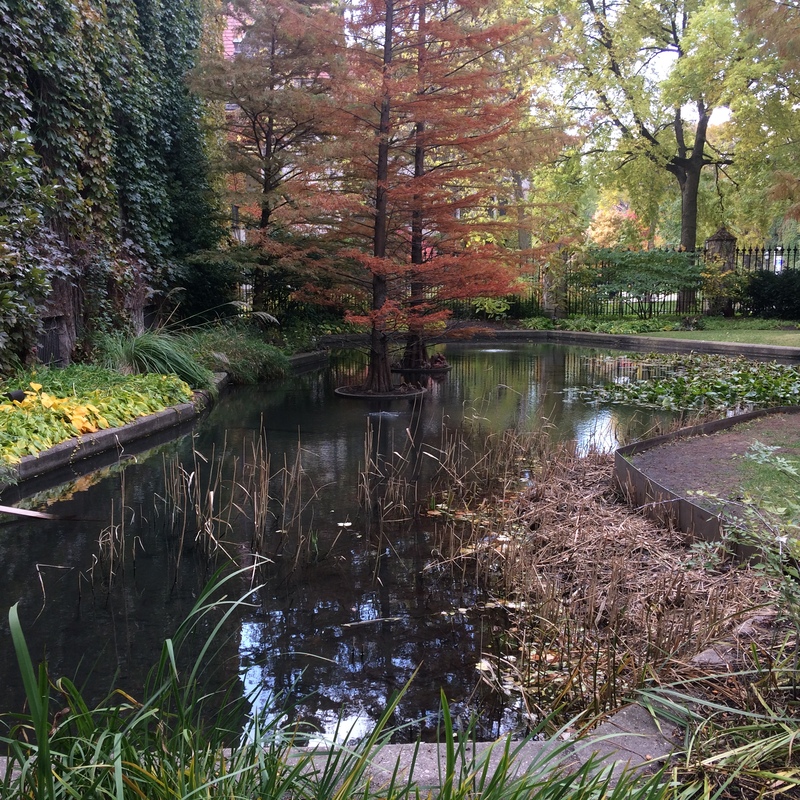 Including Botany Pond.